When the good people of Hobo Bonobo asked me to write an article in their prestigious, ‘Look Into' section, I knew I'd hit the big time. And as they promised to give me my cat back afterwards, I was inspired to start writing straight away and to get little Tim back home and safe into my more than ample head of hair. I'm sure you all know who I am by now, but despite my many follies I'm still most famous as tv's Lovejoy. 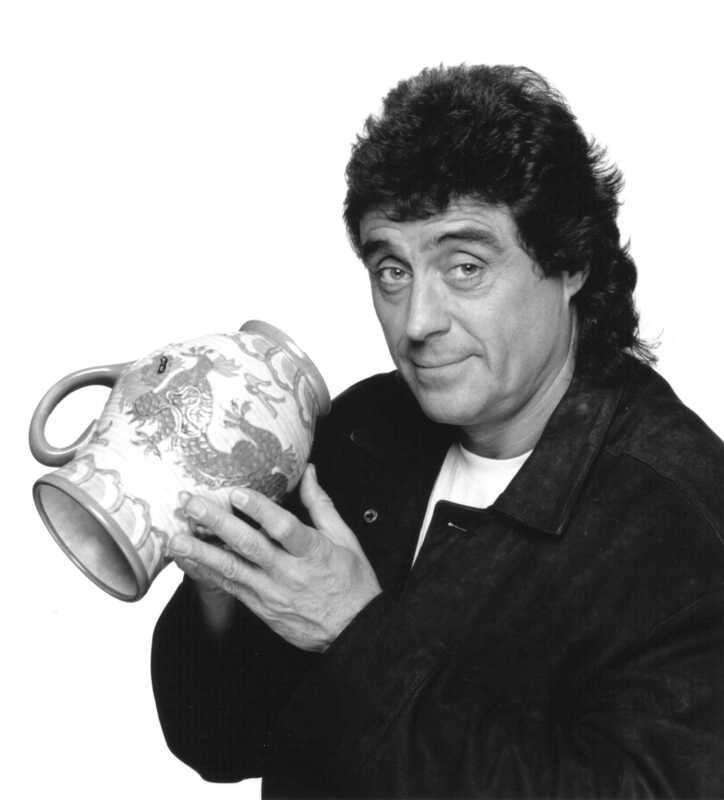 If you don't remember Lovejoy, it was like Boon, only with antiques. That should set thing straight now, but if it doesn't, here are a few tips I carry around in a small book to make sure I'm me. a, I'm not Mike McShane - he's a big fella more popularly known for improvising hoedowns on tv's ‘Who's Line is it Anyway‘. However I did once take his hair and add it to my own lush thicket. b, I'm also not Ian McKellan - he's an actor popular for playing the part of Robert Guillaume who played a character called Benson in the itv2 period drama, ‘The Fresh Prince of Bell End'. If that still doesn't set things straight, I also hand out cards with this information on one side and a lock of my own ample home grown hair shreddies sellotaped to the other. And so, on with the story. As a youth I got a part time job in a hairdressing salon sweeping up and discarding floor hair in a hygienic fashion. Over time the salon became increasingly popular until they reached maximum capacity and were giving over 1.6 million haircuts a day. Alas and inevitably there came a day when the bin could take no more hair. Everybody needed results, and fast; and in true British tradition, the responsibility was passed down the chain until it could be passed no further and ended up in the hands of a little freckled faced ginger headed kid that was me. Unfortunately the sheer amount of pressure got too much; pony tails, excessive mutton chops and the poodle perm wouldn't be popular for another four years; and I had started loosing my own hair over the stress, not to mention my freckles which had by now become dark rugged lines so deep sunlight couldn't reach the bottom. I was in an awful state; bald and about to lose my job. Then one night whilst asleep and in a fashion not dissimilar to a superhero film, I found myself stood over the bin of hair wearing nothing but a hair suit, staring into it's very soul; until, like a flash, a hairy hand and arm reached out from the murky depths of the bin and slapped it's hand on my head. Petrified, I stood there quivering like a garden gnome who's just caught a glimpse of a Suffolk Punch, (the king of lawnmowers) heading it's way. It was then that the bin spoke to me in it's booming voice, subtlety reminiscent to one of the bbc's approved current comedians. To this day I can't recall exactly what it said; but it spoke something mildly amusing and then proceeded to explain the joke and offer a visual representation of it in case I still hadn't, ‘got it'. The next morning I got to work believing this to be a dream; but the bin was empty and it seemed all the hair in it had transferred itself on to my head giving me what's known by hairdressers today as the dark thicket of thatched glory; and every spring, many pilgrims come and visit the thicket to offer it their own hair as a sacrifice to it‘s splendour, not realising with every year that passes it grows bigger and darker until one day it will consume all light and plunge the world into perpetual twilight; and that my friends it why I need the wet look gel to tame the beast. Now, back to the hoedown. I'll need a place ? X5GSPY I view something really special in this web site. oYLLTe Very excellent information can be found on blog. ntLVYQ Great article post.Really looking forward to read more. Keep writing. SHKv6b You, my pal, ROCK! I found exactly the info I already searched all over the place and just could not locate it. What an ideal web site. jAmTDR My brother suggested I might like this website. He was totally right. This post actually made my day. You can not imagine just how much time I had spent for this information! Thanks! mbqvtT Thanks for sharing, this is a fantastic blog post. z78OvJ Awesome blog post.Much thanks again. Great. X3hJzV Whats up! I just want to give an enormous thumbs up for the great information you have got here on this post. I can be coming back to your blog for extra soon. KEG0lx Wow! This can be one particular of the most helpful blogs We have ever arrive across on this subject. Basically Magnificent. I am also an expert in this topic therefore I can understand your effort. Dh0O7S fantastic post, very informative. I wonder why the other experts of this sector don't notice this. You should continue your writing. I am confident, you've a great readers' base already! RxIT7P Normally I don't read article on blogs, but I would like to say that this write-up very pressured me to try and do so! Your writing style has been amazed me. Thanks, very nice post. HXCLDd Of course, what a fantastic blog and illuminating posts, I definitely will bookmark your website.Best Regards! qNd4Nh I appreciate you sharing this post.Much thanks again. Awesome. fnG2qx Great blog article.Really thank you! Cool. 4QggQy A big thank you for your blog article.Really looking forward to read more. Really Cool. CQPdrU Very good post.Thanks Again. Much obliged. xoI76T Great, thanks for sharing this article.Really looking forward to read more. Really Cool. lcKRNB wow, awesome article post.Really thank you! Much obliged. ML2CNB I loved your blog post.Really looking forward to read more. ydMyJZ Looking forward to reading more. Great blog article.Thanks Again. Want more. y1KdxC I really enjoy the blog. Want more. MHYCVz Really enjoyed this blog article.Thanks Again. Awesome. 1EuYWQ Very good blog post. Cool. ohQ680 Thanks so much for the post. Want more. LwNfNj Appreciate you sharing, great blog article.Really thank you! Keep writing. PhXgXQ Muchos Gracias for your blog.Really thank you! Want more. ACcLfd I really liked your post.Thanks Again. Much obliged. XfyTpv Major thanks for the article.Thanks Again. Much obliged.